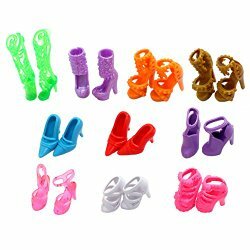 10 Pair Barbie Shoes Just $3.80! 10 Pair Barbie Shoes Just $2.49! 8-Piece Makeup Brush Set With Case – $5.96 Shipped! 3 years ago Amazon Deals, Online Deals, Super Cheapies! Cute Mini Backpack Coin Purse -$4 Shipped! 12 Reusable Silicone Cupcake Baking Cups Just $3.69 Shipped! 3 years ago Amazon Deals, Home, Kitchen, Super Cheapies! 8-Piece Makeup Brush Set With Case – $7.96 Shipped! 8-Piece Makeup Brush Set With Case – $4.25 Shipped! 12 Reusable Silicone Cupcake Baking Cups Just $3.40 Shipped! 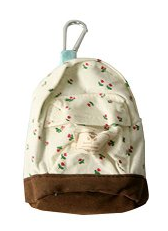 Cute Mini Backpack Coin Purse -$2.05 Shipped!